Is Your Real Estate Agent A Bully? A good real estate agent should always have their client’s interests in mind, and be willing to do whatever possible to ensure that their buyer or seller gets the best deal possible. Unfortunately, the fact is that first and foremost, realty is a profession, which means that at the end of the day, your real estate agent wants to go home with money in their pocket. This can often be to the detriment of the buyer or seller, when real estate agents resort to high-pressure sale tactics, biased advice, and often old-fashioned bullying. Of course, this is not to say that all realtors are out to get you, but there are always going to be at least a few bad apples in the barrel, and here are some things to watch for to make sure that you can pick ‘em out! The first sign of a real estate bully is a realtor who rushes his client—whether it is to make, or accept an offer. If you come across a home or property that you’re on the fence about, don’t feel pressured by lines like “You’re not going to find anything better than this!” or “You’d be stupid not to make an offer.” Similarly, if a buyer makes an offer that you’re not happy with, don’t feel obligated to accept it—especially if it’s in the early days of your listing. Yes, realtors often have good advice, but don’t forget that they can also benefit from making sales as soon as possible…at your expense. If you’ve ever visited an open house by yourself, you may have had a realtor ask you whether or not you have an agent. Often, realtors will use this question as a segue to offer themselves for hire. This way, they can get a double the profit from receiving commission from both the seller and the buyer. Some will even go so far as to say that they can’t sell to somebody who isn’t represented. Be aware that if anyone ever tries to tell you such a thing, you should ask him or her for their real estate license number and report them. Similarly, some buying agents may try to show you a property without telling you that they are also representing the seller in order to receive a double cut. As a result, they may try to talk you into purchasing a home that you’re unhappy with by convincing you that it’s the best you’ll be able to afford. If you think this might be the case, a quick browse through your local real estate listing will confirm or counter your suspicions. When buying a house, your offer should be the only thing that matters. Sadly, some listing agents will try to reject, or simply not show certain offers to their client, based on whom the potential buyer is represented by. This is often because agents will work together with their friends or home brokerage to share profits. Be aware that it’s the law that a seller sees every offer, and that you can report any agent who is guilty of this. At the end of the day, buying a house is hard enough as it is, and your real estate agent should be there to make it easier, not even more difficult! When it comes down to it, if you think you’re real estate agent is being a bully, the answer is quite simple: get a new one. I didn’t realize that “client poaching” was the name of that practice… but I’ve seen it happen. I think people have an issue with firing their real estate agent, for some reason. They have some kind of fear that they will turn other agents against them, or even simply be upset during the firing conversation. It’s hard for some people to be on the ‘firing’ end of the conversation. What people need to remember, though, is that that deserve and NEED a good agent and they get nothing out of staying with a bad agent. Thank you for posting this guide! I found it very helpful. The “Rush” part is very interesting. I would never make a deal with a pushy agent! That is definitely a bad sign. I understand that they want to go home with money, but I want to go home to a house I love! I hope that there are some great agents out there who truly care about their clients. Pretty interesting insights. Better to be safe than sorry. Yeah, I have seen these tactics in the field. Well, never allow yourself to be outwit. I agree, some real estate agencies are bullies. Instead of taking time and letting the buyer make a comfortable decision they are being rushed simply, because the agents wants their money as soon as possible. If these agents let the consumer make a comfortable decision, both parties will be happy. The consumer will have the home they want and the agents will have the cash they were looking for. I could not have said it better!! Are there any other negative behaviors and tactics used by realtors which, while to be avoided, may not necessarily fit with the concept of ‘bullying’? If so, what are they and what are the warning signs? And what advice would you give an inexperienced real estate buyer about firing their agent if this becomes necessary? Finally, you mention reporting agents a few times. To what authority should they be reported? Well in the first place for an agent, I would rely on referrals and your own research to select a professional, full time agent. Listing your home for sale requires legal paperwork signed with a real estate Broker. These brokers of record are bound to the law in your particular country – real estate associations. The actual salesperson that you are dealing with, in most cases, is not who the actual contract is binding between the parties. So you would have recourse with the broker of record, failing that, the terms of your contract through the local associations or legal recourse. Buying a home can be a bit more tenuous! 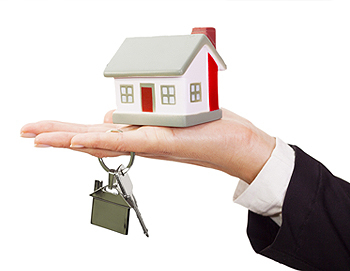 Again depending on the country – real estate associations, you normally do not sign a contract with a Buyer’s Agent. I have discussed this in other posts, but regardless do not sign a legal contract with an agent unless you are totally comfortable with – mutually understand the terms. Also in this case the contract is with the broker of record, so you would have recourse as previously mentioned at this stage. Failing that, as in the Sellers scenario, the local real estate associations or legal recourse. However to be clear, all agents whether buyers agents, selling agents or the actual brokerage are bound to a very strict code of conduct, competence, ethics, legal representation, full disclosure, fiduciary obligations etc. In Canada all agents – brokers of record must carry errors and omissions insurance. If they breach these responsibilities, and if there is tangible damage to you, you can hire a lawyer to sue the parties in a real estate transaction. Wow. Whenever I read things like this, or stories about how folks were taken for thousands of dollars by unscrupulous realtors, I always wonder, where in the world did they meet these people? Thanks for the heads-up. I’m just thankful that people like this are the minority. Maybe I’m seeing things through rose-colored glasses, but the majority of people that I’ve dealt with in the real estate industry all have come across as true professionals. Thank goodness. A good real estate agent will take the time to understand his or her client first and after establishing a connection before asking for a BRA. Great points on subject. Especially number three. As the agent will try to push because it is his or her listing. This might not be a good position to be in, disclosure is essential. Cheers. These are excellent points. I once had an agent not show the offer we had made on a house. We found out later on that he had held the offer because he also represented the seller and another buyer who had made a higher offer. I wish I had known I could report him. In our case, the seller probably would have gone with the higher offer anyway, but we were still really upset when we found out. What type of loan are you approved for? Do you have money down? Buyers often find our questions offensive, but it’s all in an effort to assist the buyer. Not all homes qualify for all types of financing. Example: financing for some manufactured housing, depending on it’s setup, is next to impossible to get through. Homes located outside of a USDA Rural Development zone won’t qualify for RD financing no matter how hard you try. And….. when we ask you what lender you have spoken with. It’s not that we don’t trust you, it’s that many lenders have different loan products. Also, if you tell us that you’ve been turned down by a lender and that you can only rent, that’s not always the case. You may qualify for a product that another lender offers. We can help steer you in the right direction. Real estate can be both a very rewarding business and a very disappointing business. If you have an agent that is working their tail off for you. Pointing out flaws as soon as you walk into a house or onto a property. It is because they are looking out for your best interests and want you to be informed. That’s an agent you should hang on to. My husband & I are in early 50′s & are in process of buying only the second house we have ever owned & prefer to work with an agent because there is so much we don’t understand; we have a lot of questions, & want to feel some one is on our side. The agent we are working with at the moment I really like as a person; but we are a bit frustrated with as an agent. We are selling our house in one state & have relocated to another state; we found a house that in this market does check most of our boxes except for location. Yes we do know & understand the perfect property is not there. This market moves fast; there is nothing in the location we have a budget for; the houses here will go on sale one day & be pending the very next. So when we found this house we put in offer right away. I do like house very much & if it was in the location we wanted it would be perfect. We had an offer on our old house right away and other people wanting it; now our offer fell through & we are feeling pressure of not wanting two mortgages at one time. We did the new house inspection & it has a septic which we had inspected also; house did great; just a couple minor things nothing a deal breaker; but septic failed. Now in this state it is sellers responsibility to fix septic up to standard & we are told this will be done. Well; feeling the pressure we do decided to maybe let this house go & wait till we have another offer on our house back home & then move forward with finding new place. We were given 20 days from date of offer to reply to inspection & decided with my husbands new work schedule that we would take the full 20 days to reply; the people who own the house found a new one & demanded we reply now; so they can reply to their new home inspection. We told our realtor we thought it was best to go ahead & back out now giving these people the freedom to get another offer on their place since it has only been 17 days since offer. Our agent told us; then we have wasted time & money with inspections & they pulled their place off market because of us. Now; we think they had to pull place off market to fix septic; we don’t have the extra money to waste & never intended to waste at all; but feel very uneasy & pushed into continuing. When we said maybe we shouldn’t put ourselves into this position when our offer fell through & wait for new offer. We just don’t know how to take what this agent said. I totally appreciate your frustration!! You did not indicate where in fact you were doing business BUT the real estate business is plagued with “”"”part time”"”" agents!! My assessment of your situation, as you described, is quite frankly BS!! There are way too many “moving parts” that put you at risk and could create a nightmare for you and your investment!! You really need to find a PROFESSIONAL, FULL TIME …. ACCREDITED agent in your community before you move forward with any decisions!! WilliamTaylor; thank you for your reply.? We are in Pennsylvania & moving from West Coast. The agent we are working with is full time & accredited. sound enough to cover for the mortgages more than a long period of time.